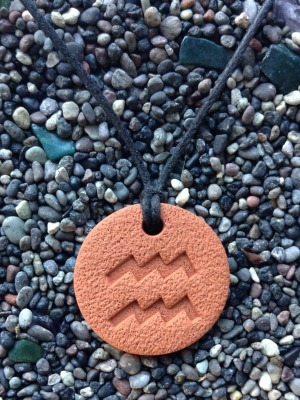 The Aquarius Pendant measures 2.8 cm (1 1/8 in) across. The Aquarius water bearer really likes this pendant. The size is good for men and women, and the pendant works beautifully with all oils.